Nowadays, it is very hard to find a woman with enough handbags from all over the globe. This is because handbags are available in various varieties and new designs are invented at a high rate. This leads to new fashions coming out and each woman would like to go with the modern fashion. Below are the top 10 most expensive 2014 fall handbags that women should go for before the year ends. It is small in size but very stunning both in and outside. It has smooth and metallic napa trim, top handle with rings, shiny palladium hardware, divided compartments with turn-lock closures, hinged frame-top with buttons at sides. Lastly, it has a detachable and adjustable shoulder strap. Its price is $ 7 750. It is very beautiful and has striking crystal detail mingles with blue crocodile. This ensures a good wild marchesa clutch that has a removable silver shoulder strap. It also contains a chain shoulder strap of 17 inches, reinforced metal corners, tulle lining and an interior pocket. Its cost is $8 595. It has been made using an ostrich leather tote. Some of its features include double handle, inside pocket with flap, gold-plated hardware, napa leather lining and an external logo (saffiano leather triangle with metal lettering). Its cost price is $ 9 600. Some of its special features include a glazed alligator envelope clutch with a push lock closure, two lined compartment interior and a center dividing zipper pocket. It is made in Italy and its price is $11 700. It is lined using smooth leather and has a slip pocket at the interior. It has a goldtone double chain shoulder strap and is also made in Italy. Its cost price is $12 550. This one is in glossy crocodile and contains accordion sides. This handbag is a timeless combination of classic refinement and texture. It also contains a shoulder strap, expandable accordion sides, three-compartment interior, a flap top with push-lock clasp among others. It is made in Italy and its price is around $15 750. This is a large structured alligator in black color. It has an overlong inset zip closure and handles are at top. It also has a clinch belt and is made in Italy. The buying price is $22 000. It has degrade and soft matte crocodile leather bowling bag with 2 top zips and a rolled self top handle. Its price is $23 000. 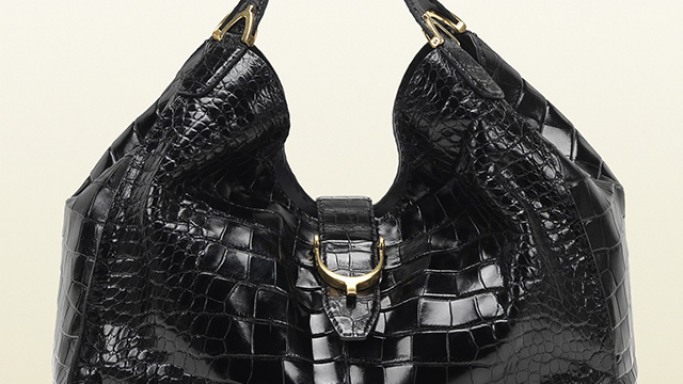 This handbag is a luxury croc tote that has been designed with flat top handles and silver-tone top zip. It includes detachable and a coordinating grained leather flap with croc band and slip pocket. Its cost price is $ 24 000. This is an Italian fashion and some of its special features include the following. It is lined with leather, contains a shoulder strap and a zip at the top. Its price is $ 32 500. In conclusion, the above are the top 10 most expensive 2014 fall handbags available. You can purchase one before the year ends and surely you will be glad of it.